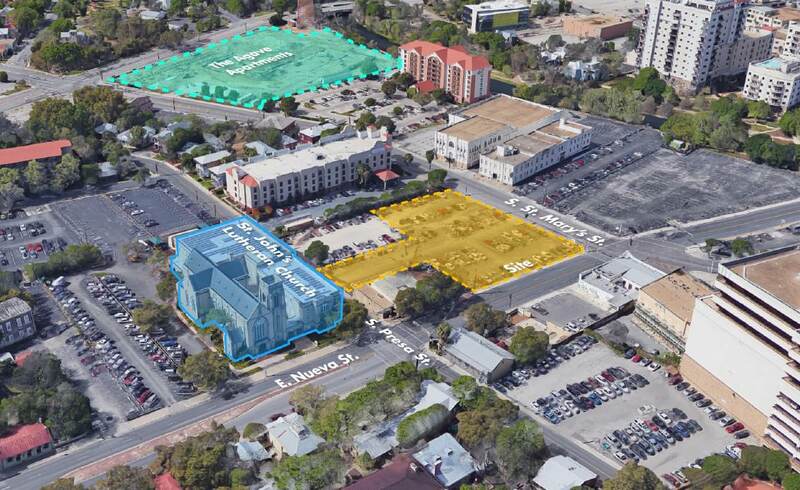 A parking lot near La Villita, primarily owned by St. John's Lutheran Church, could end up as the site of an eight-story, mixed-use apartment building — a combination of workforce and market-rate units, retail space and a rooftop pool. 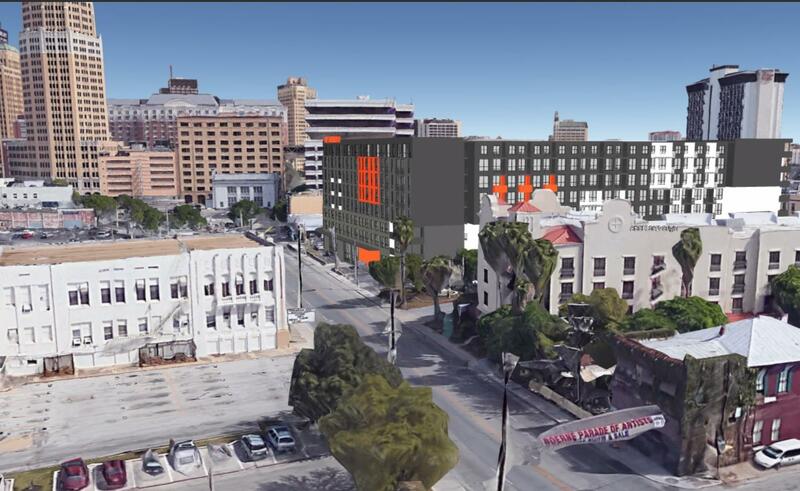 Austin developer Dennis McDaniel, who built the Steel House Lofts, is partnering with the San Antonio Housing Authority (SAHA) and St. John’s Lutheran Church on the project. 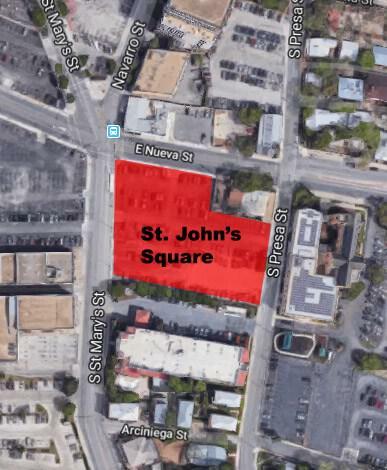 The project, known as St. John’s Square, would sit on the southeast corner of South St. Mary’s and East Nueva streets, a 1.3-acre lot just west of the church. It could cost upwards of $50 million to build and offer around 250 units. 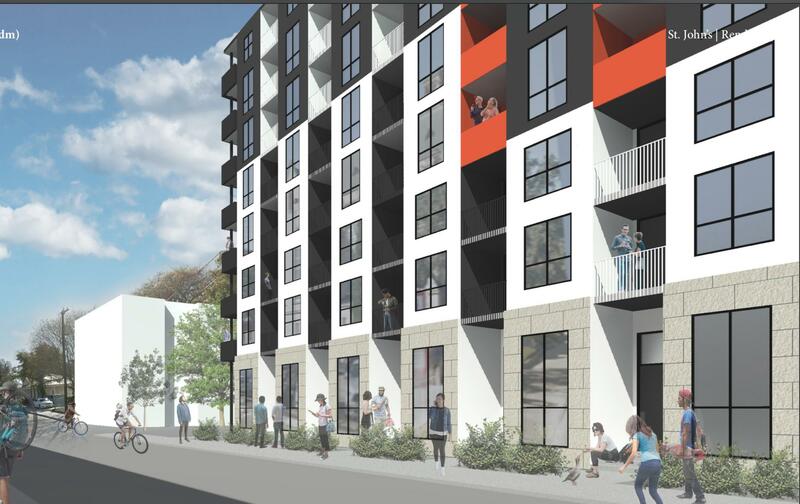 On Thursday, SAHA commissioners voted to pursue 4 percent low-income housing tax credits, a federal program that’s meant to spur affordable housing growth. 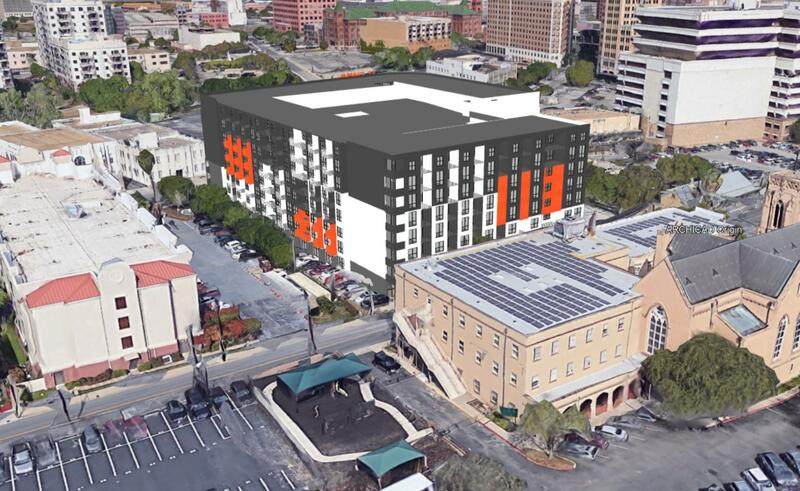 McDaniel said roughly 80 percent of the units would be leased at market-rate rents, while 20 percent would be considered workforce housing and therefore offered to people making 80 percent of the area median income (AMI) — which, in San Antonio, would amount to $50,800 for a family of four. However, the project’s details are still being negotiated, he added. In 2013, McDaniel met Oliver Gunnels, who managed the St. John’s lot, and who also lived at the Steel House Lofts, when it was a for-rent property. 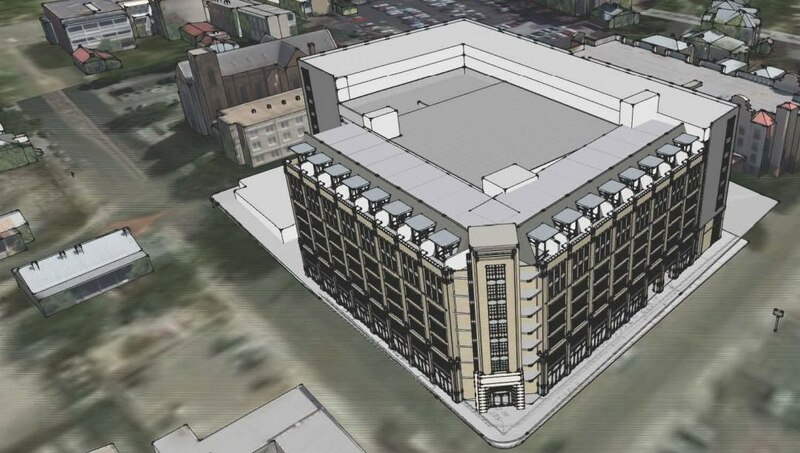 Gunnells connected McDaniel with church officials who asked him to build a parking garage on the lot. But McDaniel wasn’t excited about building just a garage. 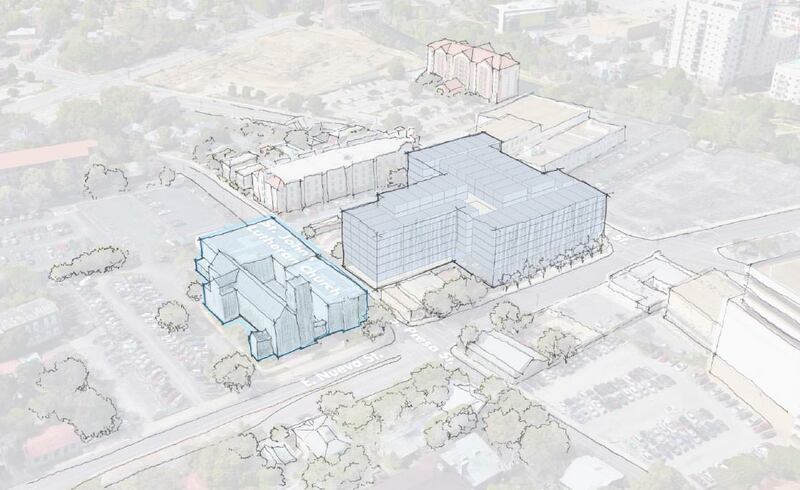 Later, he instead proposed adding apartments and retail space to accompany a parking structure. The church agreed and the two sides spent nearly five years working out the details of the arrangement. McDaniel signed a 99-year lease on the property in February. 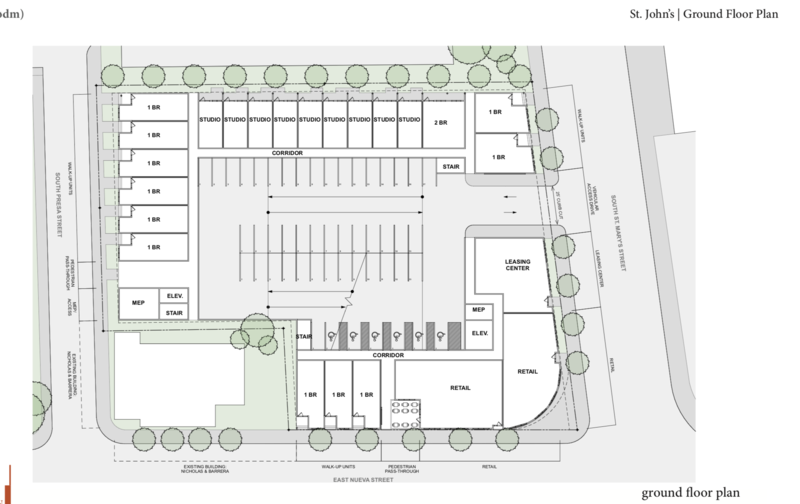 In return for the lot, St. John’s will receive a package that includes parking spaces, and revenue from rents, he said. 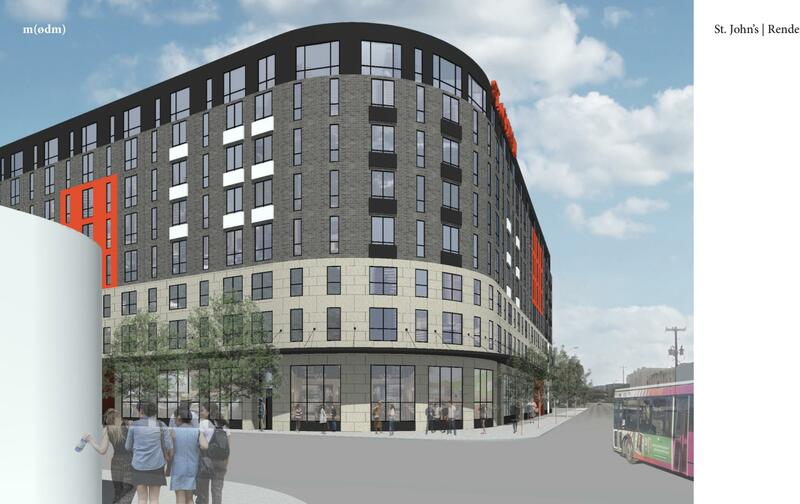 Current site plans show 110 studios, 138 one-bedroom apartments, 13 two-bedrooms and about 335 parking spaces. 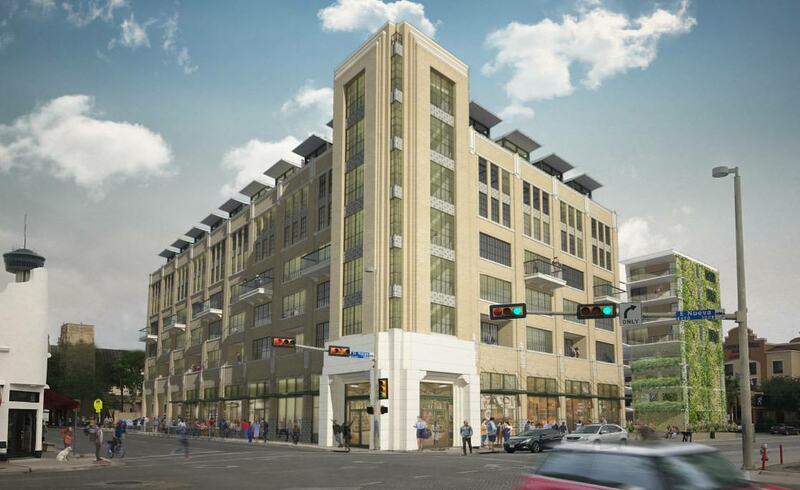 The project also includes 6,612-square-feet of retail. Rents have not been determined. 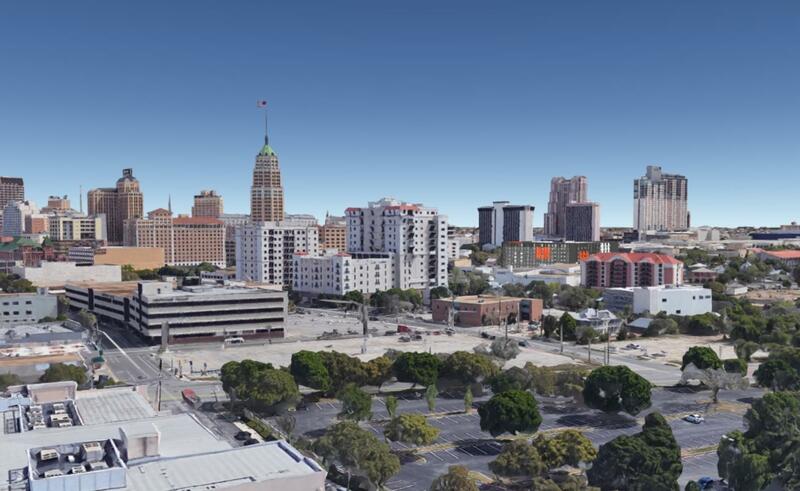 McDaniel said market rate for the area, which is a block west of Hemisfair, is between $2.30-$2.40 a square foot, or between $1,200-$2,300 per month. Rents for the workforce housing are still being negotiated, said Tim Alcott, SAHA's real estate and legal services officer. So are the exact percentage of the total units that would be reserved as workforce housing. While the Steel House Lofts connected McDaniel with the property, SAHA played a role, too. 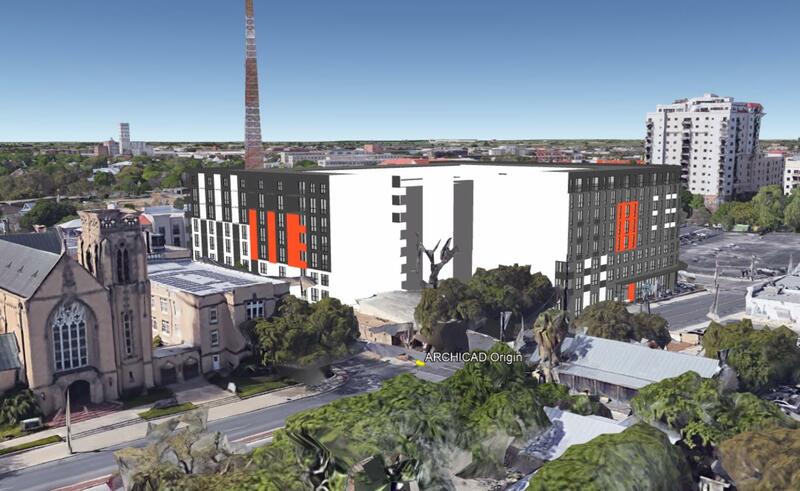 After the Steel House Lofts became a for-sale product in 2014, SAHA President and CEO David Nisivoccia purchased a unit and soon met McDaniel, who wasn’t familiar with SAHA’s mission. 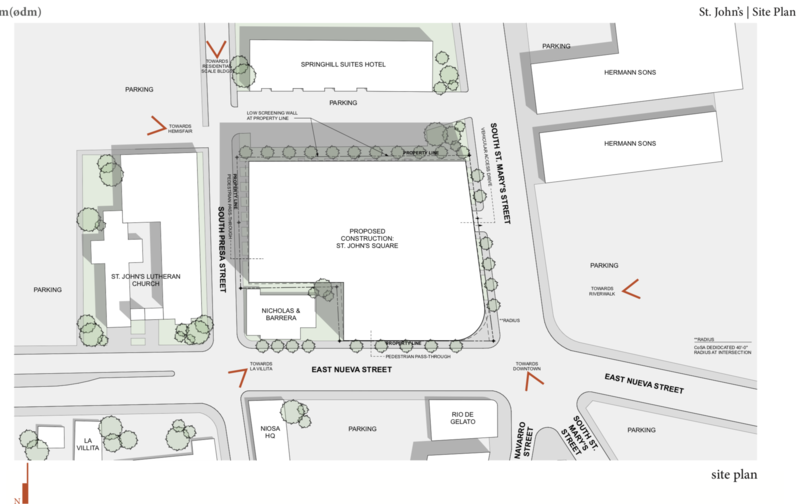 So when Nisivoccia pitched making the St. John’s Square project a SAHA partnership with workforce housing, McDaniel was game. 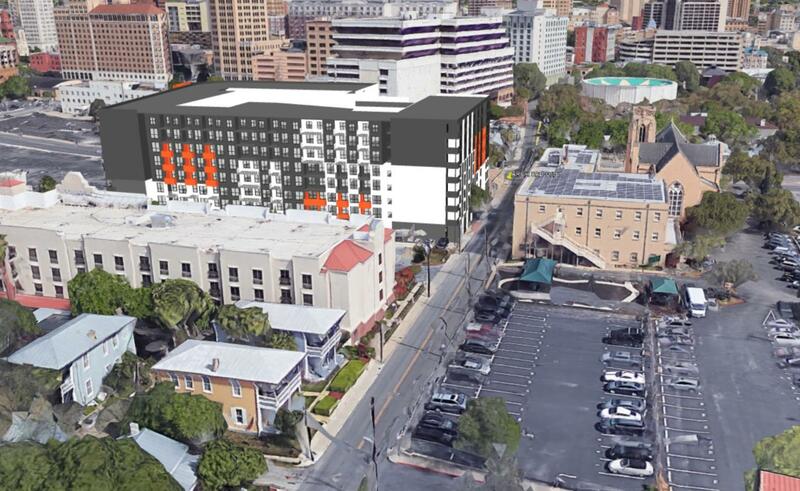 The project is due to receive $3.2 million in city Center City Housing Incentives Policy incentives — an estimated $2.3 million in city tax rebates over 15 years, along with city and SAWS fee waivers and a mixed-use loan for the retail build-out. Another funding method being considered, aside from the traditional mortgage-equity partners combo, is from the Opportunity Zone, a federal program that offers investors tax incentives for contributing funding to distressed, low-income areas prime for revitalization. 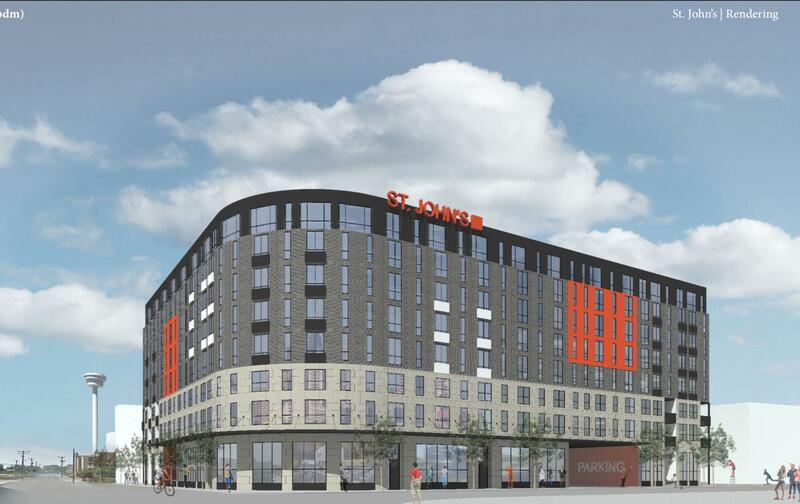 It’s unclear whether the St. John’s Square project will get the funding or how much money the project could be eligible to receive. Both Alcott and McDaniel said the capital details are still being worked out. Awesome! Preliminary designs look nice... and retail! 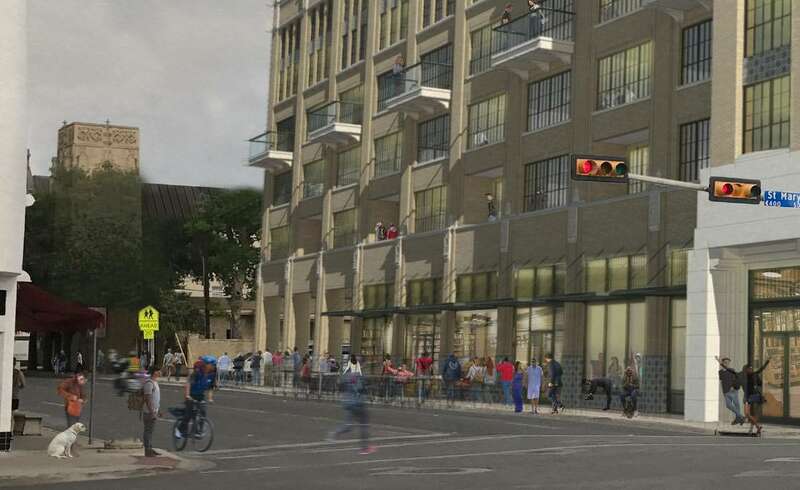 Although it looks like the two walls you can't see in the rendering are purely parking garage. Hopefully the retail extends on those two sides. To not do so would be short-sighted. The outer walls that are not visible are definitely residental units/continuation of the development. All that's missing is a square. The preliminary design looks nice and adequate for that area. 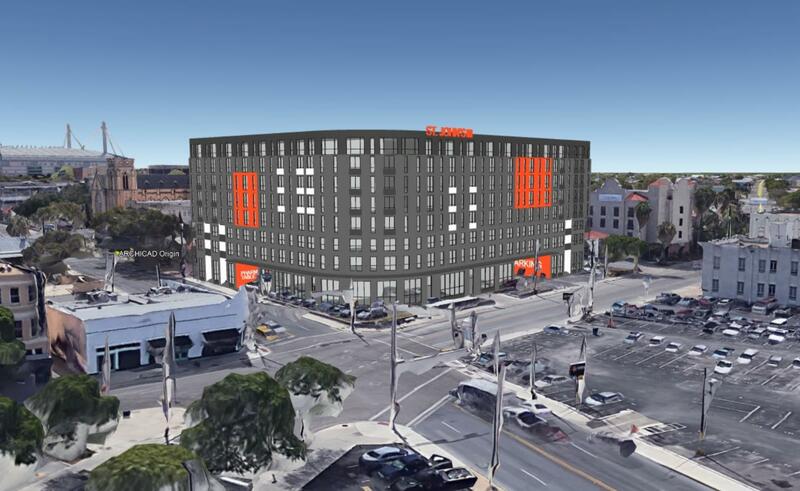 It will compliment the TL building nicely and eliminate an eyesore parking area and increase density in the core. 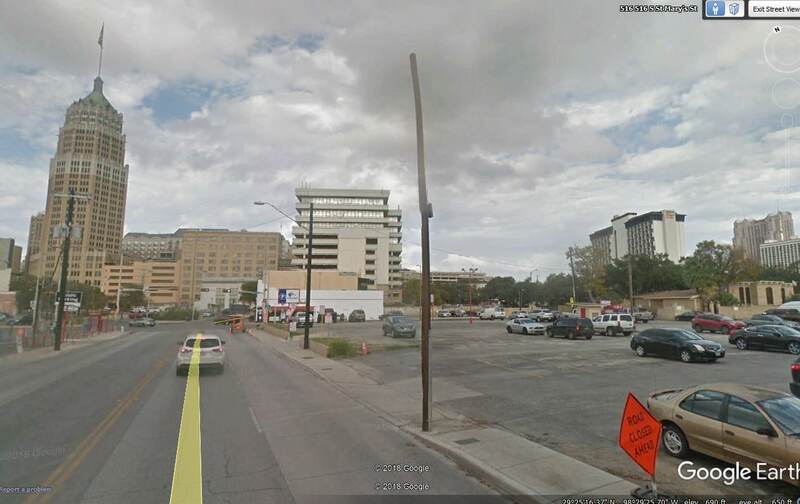 Slowly but surely, the surface parking lots are disappearing in south downtown. There are residential units, but not retail, on the sides facing east and south. You can’t really have retail on the south side since that’s facing the interior of the block, and that block of Presa is pretty quiet. The retail parking garage entrance will be over there. Fair enough. Thanks for the explanation. You "can't" have retail on the south side of the block. Why not? The south side is more property than a street. I can see TxDev's point. The orientation of the building is similar to 1800 Broadway, if you are familiar with that property. At 1800, the main retail side is Broadway. 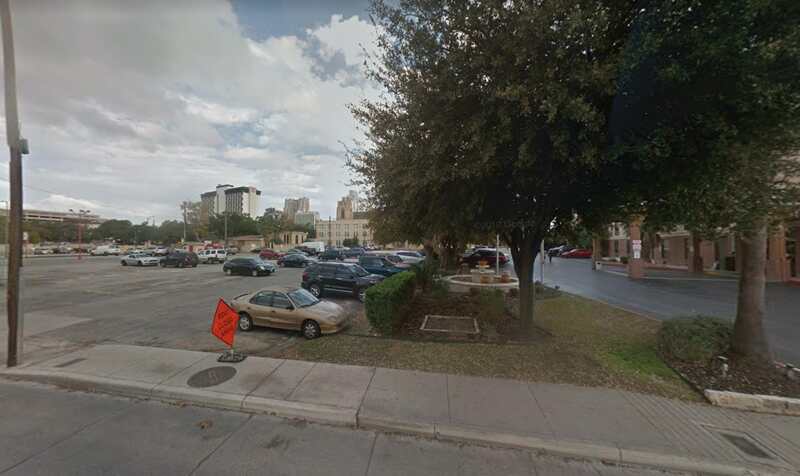 On the North, Grayson would be secondary, Alamo St is the back and is garage entrance, trash cans, etc, and the South side of the building doesn’t face a street, it faces someone else’s property. So, you couldn’t really have retail facing south. 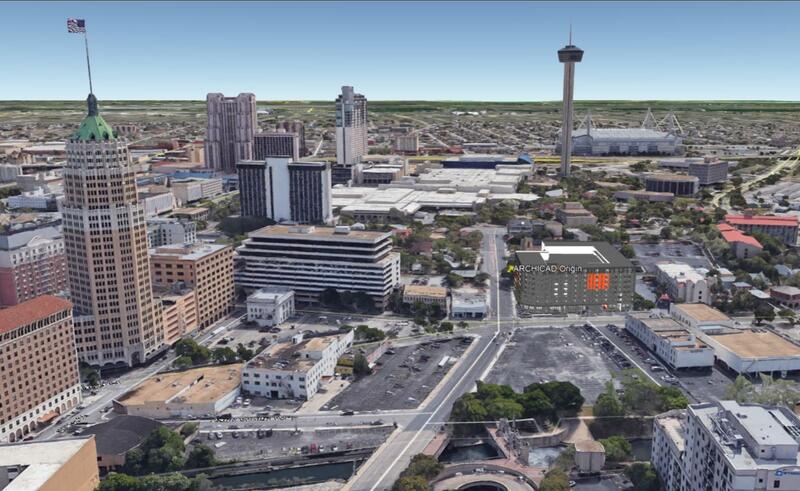 "Located in downtown San Antonio between the RiverWalk and HemisFair Park, across from LaVillita, this 8 story residential tower will also include ground floor retail and a parking garage serving its residents, customers and downtown visitors. To be built on a 99 year ground lease with St John’s Lutheran Church next door, construction will begin in 1st quarter 2019." It reminds me a lot of the Express-News building. 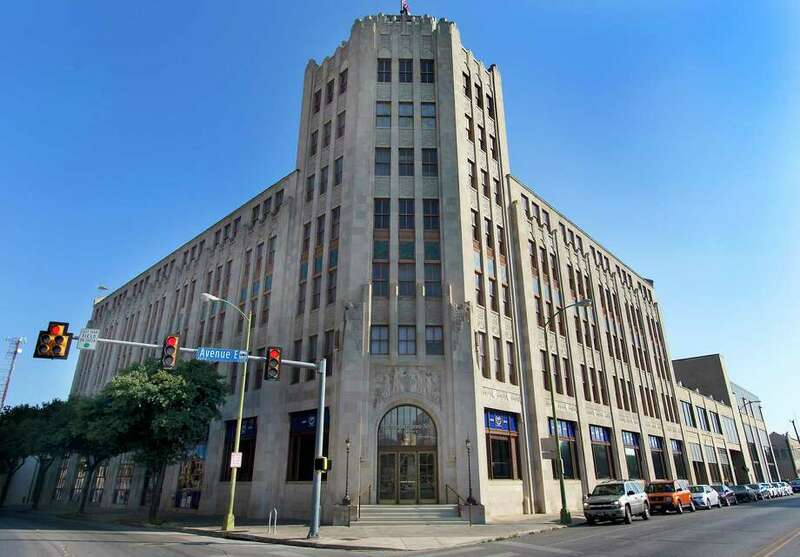 IT DOES RESEMBLE THE HISTORIC EXPRESS NEWS BUILDING! Wow! Another home run! The SATX is definitely leading the league in the home run category!!! Why did they change the design? I thought the previous design had a lot more character and a pretty upscale feeling, like something you'd find at the Pearl. 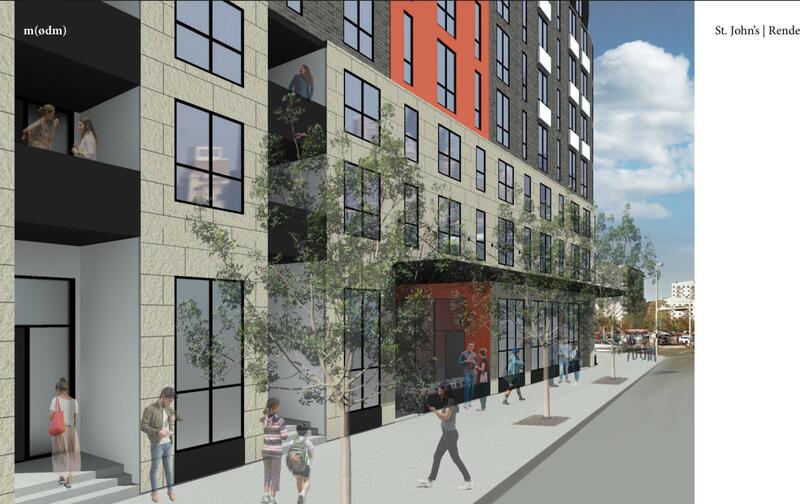 These new renderings show a building struggling to break up a mediocre façade with simple color variations, IMO. 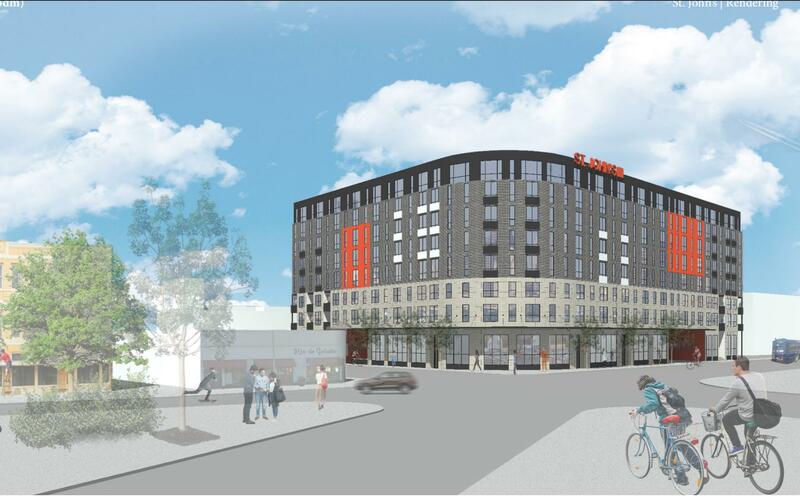 The new rendering have a much more modern look. I like it. The original had the same boring beige that SA is overwhelmed with.